Apple decided that it will exclusively start selling the fighting AR-robot spider, MekaMon, from Reach Robotics. The model – which received $7.5 million on funding after its initial run of 500 sold out – connects to your smartphone to play in both solo and multiplayer games, either in the real world or augmented reality. MekaMon is upgradable and customizable with detachable legs, shields, and weapons, and feature four IR sensors, allowing it to measure distance and location. This also allows the robot to track and attack opponents as well as neatly flip on its back and stabilize itself. The spider-robot measures in at 11.8in x 11.8in x 5.9in, weighs 2.2lb and is powered by a rechargeable battery pack that delivers at least one hour of non-stop operation. The robots are controlled via an iOS or Android app, using virtual thumbsticks and pre-programmed commands. In the solo mode option; players must fight off virtual on-screen enemies whilst in multiplayer, two robots must disable one another’s units. 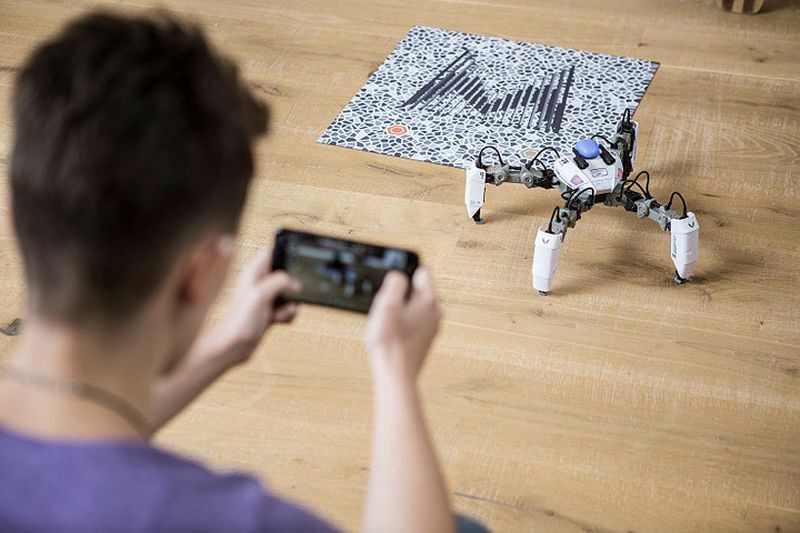 The partnership with Apple to market these robots has seen the model become completely compatible with Apple's swift playgrounds app, allowing users to learn how to code whilst using the robot, creating custom moves and animations. Reach Robotics says more add-ons will also be available via mekamon.com in the future and is currently available in white and black models from Apple and mekamon.com for £299.95.